ScapeRune How do I get started? Home > Manual > How do I get started? > How do I get started? Getting started in ScapeRune is a quick and easy process. Within a few minutes you can create an account and start playing the game! The first thing you'll need is a new character to play! You can create yourself a new account by clicking here and clicking the "Create a Free Account" button. Once you've done that, you can come back here to continue the guide. You play the game by clicking the "Play ScapeRune" link from the ScapeRune main page. This will take you to a screen which gives you the option to play in high or low detail. We recommend you try the high detail mode first. If you have problems with the high detail mode, try the low detail version by going back to the front page and selecting "Play ScapeRune" again. This will take you to the world select screen. All of the game worlds are identical, but you will meet different players on each one. The easiest option is to choose the large button that says "Choose best free world for me". This will try to choose the least busy world near you. The button on the right selects the best members-only world for you. There are far more features of the game available on the members' worlds; if you find you're enjoying ScapeRune and you'd like to take the game experience further, you can subscribe and start playing on those worlds. The initial download process will then start. During the download a grey security box will pop up. You should check the box that appears next to 'Always trust content from ScapeRune Ltd' and then click 'Yes'. When the game has loaded you will be presented with the title screen. Enter the username and password you chose when you created your account and click 'Login'. You should use the arrows on the screen to change each option until you are happy with your character's appearance. There are features in the game that will allow you to re-design your character, although you may have to pay some ScapeRune currency to make any changes! 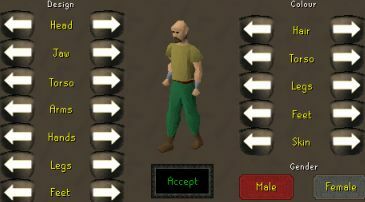 Once you have finished you should click the 'Accept' button which will launch your character into our Tutorial Island, where the friendly citizens of ScapeRune are looking forward to greeting you. 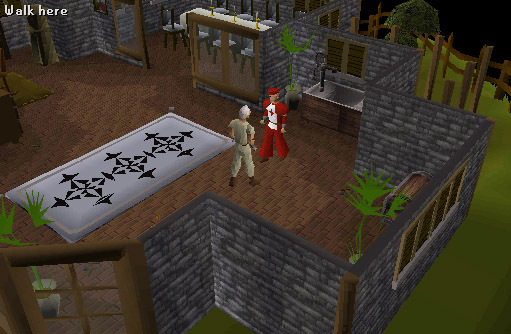 Tutorial Island is the place in ScapeRune where your character will begin their life. Here you will be introduced to the basics of playing ScapeRune. You will be taken through a variety of skills by the instructors, including casting spells, Fishing, Mining, combat and much more. This should only take about 20 minutes to complete. When you've finished, your character will be transported to the rustic town of Lumbridge where your ScapeRune adventures will truly begin! For more information on what you can do when you first enter ScapeRune and how you can do it, please see the Beginners' Guide section. More articles in How do I get started? For help on searching, see our Search Tips page. This website and its contents are copyright © 1999 - 2014 Jagex Ltd.